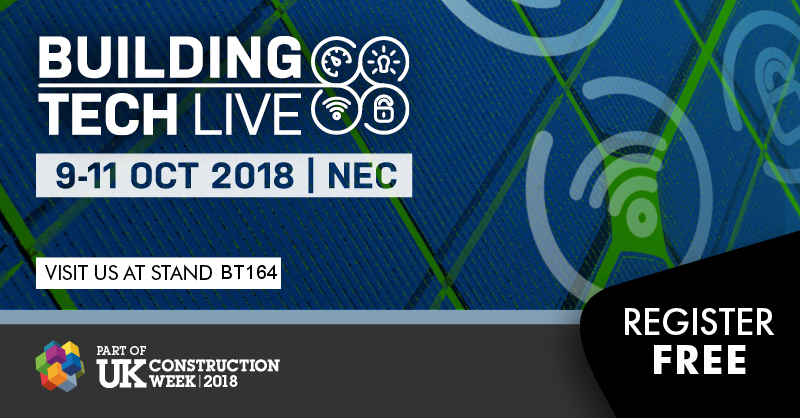 GeoPal will be exhibiting at Building Tech Live within UK Construction Week which takes place on 9th - 11th October 2018 at the NEC, Birmingham, UK. UK Construction Week (UKCW) is the UK’s largest built environment event; bringing together 35,000 construction professionals and 650+ exhibitors at the NEC Birmingham on 9-11 October 2018. Building Tech Live is the must-attend event for those within the integrated technology community and joins the Build Show, Timber Expo, Civils Expo, Energy 2018, HVAC 2018 and the Surface & Materials Show to make up the UK’s largest event for the built environment, UK Construction Week. Formerly known as Smart Buildings, Building Tech Live has evolved to showcase the very latest technological advancements in IoT, lighting, automation, security, communication technology and more. Building Tech Live will be the foremost destination for anyone in electrotechnical and engineering services design, installation, inspection, testing, maintenance and monitoring and has been designed in consultation with our association partners to provide comprehensive educational content, debate and the latest technological advancements in the industry. GeoPal will be located Stand BT164 where the team will be on hand to provide live demos, consultations and discuss the benefits of GeoPal to an organisation such as yours. We will also be running a competition over the course of the event to give away a free Samsung tablet - make sure you call over to the stand to find out more! Russell Fleming, Group Programme Director at TLI Group will be presenting on how the use of GeoPal has facilitated them to take a more innovative approach to their work. If you would like to attend UK Construction Week, you can register for a free ticket here. If you would like to arrange a meeting with the team - you can email sales@geopal.com and we will contact you to set it up.